The news is a bit thin this month. Not because there aren't a ton of new releases and things but because I was away in the South of France for two weeks with no wifi which was a strange mix of bliss and frustration. Bliss because it's so nice to not be tied to the phone and frustration because I had not planned sufficiently for two weeks with no wifi and therefore had to keep dashing to wifi cafes. One other unplanned development was the arrival of two, previously unseen, massive crevice-like lines on my top lip that need attention. Who was I to think that nearly two decades of smoking would leave me unsullied? So I'm on the look at for a good cream to help sort it out - thinking of trying the Merumaya Lipline Restoration Treatment, another recommendation from the lovely Tahira Herold. Anyone tried it, or have any other recommendations? Bobbi Brown Eye Glosses - glossy lids have long been a trick up every make-up artists sleeve but not so easy to recreate at home but now you can with these new eye glosses. Three colours available. 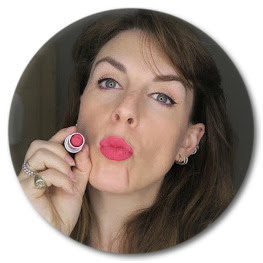 MAC Fruity Juicy collection - its nearly sold out everywhere I thnk but the Fruit A La La eye shadow palette and pearl matte face powder look particularly appealing. 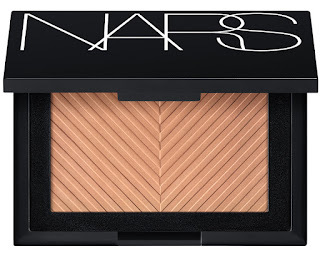 NARS Sun Wash Diffusing bronzer - for those of us who don't want a whole face full of shimmer this is a gorgeous technically-matte bronzer with 'soft blurring technology'. 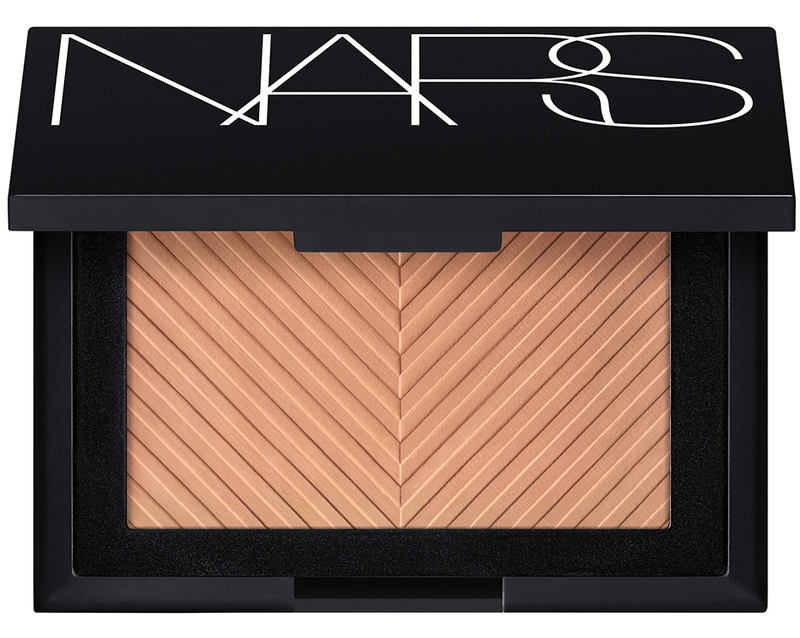 It's a flattering bronzer in good shades basically - if like me you struggle with bronzer then try this baby out. 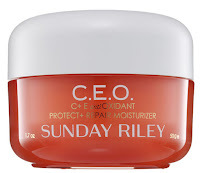 Sunday Riley CEO Protect & Repair Moisturiser - I find Sunday Riley's products a bit hit or miss but have heard great things about this and as you know I'm a sucker for anything with Vitamin C in it. 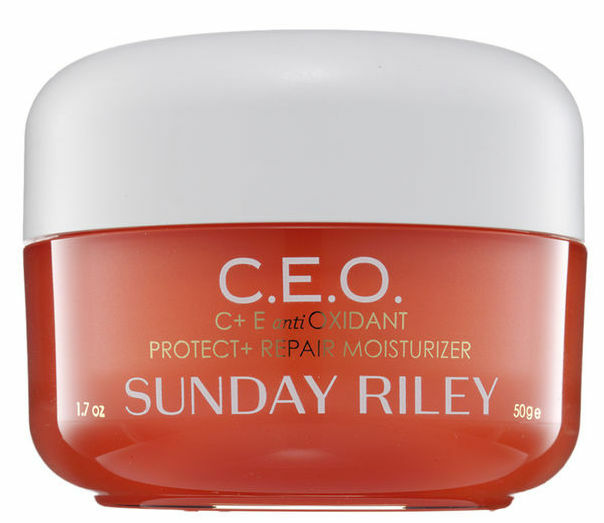 If you have the budget and want something brightening and soothing that will help protect against UV rays and pollution then this is the one to go for. 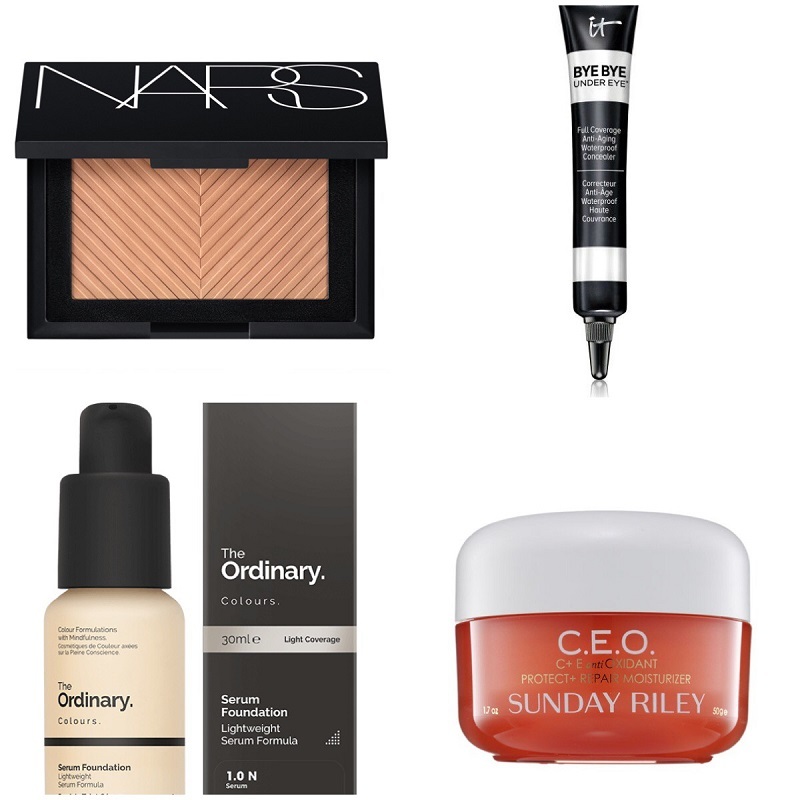 The Ordinary Serum Foundation - this is not a new, new release but fairly recent and every time I've seen it on someone it looks fantastic, the colour range is great and the price, as always very impressive. This brand can do no wrong at the moment and I can't wait to try this out. IT cosmetics at Selfridges - a brand I've been wanting to try for a while and now available (online at least) from Selfridges. If I had unlimited funds I'd try the Your Skin but Better CC and Bye Bye Undereye concealer. UMA Expo was so much fun this year. Great demonstrations and amazing shopping deals. I swore I would make no purchases but obviously came away with a bag full! Can't wait for next year. Daniel Sandler are offering a 15% Bank Holiday discount which ends at 23:59pm (UK time) today. To claim your 15% discount you must register via the sign in link, then during checkout enter the discount code bankhols and click "apply coupon". Look Fantastic - save 10% when you add the LF10 code and get some free Look Fantastic sponges when you spend over £50. The Cream Eyeshadow Sticks from Rosie for Autograph. Not new releases but new to me and they are pretty good so far. More to follow. The Makeup Armoury Canvas Pouch - one of the things I picked up at UMA Expo and I love it. I'm a complete convert from my zuca pouches. It holds so much and isn't too huge. MUD eye shadow in Vineyard and lipstick in Lucky. Reviews to soon.